a treeless prairie, while the tree-covered areas of the current northern Canada were inhabited by a species of wood bison Bison bison. The vast, North American prairies were traversed by countless herds of bison. At the beginning of the 19th century, their total number was estimated at 40 million. However, an unprecedented slaughter of these animals eradicated these large herds. At the end of the 19th century (1895), the total number of bison dropped down to only 800. Further extermination was prevented by including them in the list of protected animals. Currently, the total number of these animals is estimated at 100 000 specimens. Apart from the herds under the state protection, living e.g. in the Yellowstone National Park of the National Bison Range in Montana, a number of bison are also bred by private breeders exclusively for commercial purposes. The fortune of forest bison living in the vast and inaccessible areas of the northern Canada was significantly different. 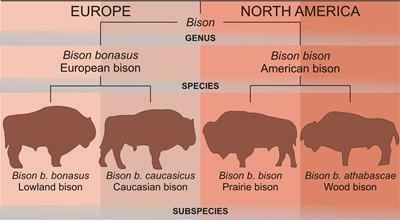 At the beginning of the 20th century, more than 6000 prairie bisons were transported from the USA, which resulted in the mixture of the two subspecies. Currently, there is no certainty whether the wood bison was preserved anywhere in its natural form. The European bison also featured two distinct subspecies – a lowland bison, also called the Białowieża bison Bison bonasus bonasus and the mountain Caucasian bison Bison bonasus caucasicus. The Caucasian bisons did not make it to our times. The last bison of this subspecies dies in the Caucasus in 1927. Only one specimens survived, transported from the Caucasus to Germany in 1908. This one year old bull was kept in a private zoo in Boitzenburg in Germany. It was living in captivity for 18 years. At this time, also Białowieża bison were kept in the zoos and zoo parks. The aforementioned bull had numerous offspring with the Białowieża females, representing a mixture of Caucasian and Białowieża bison. 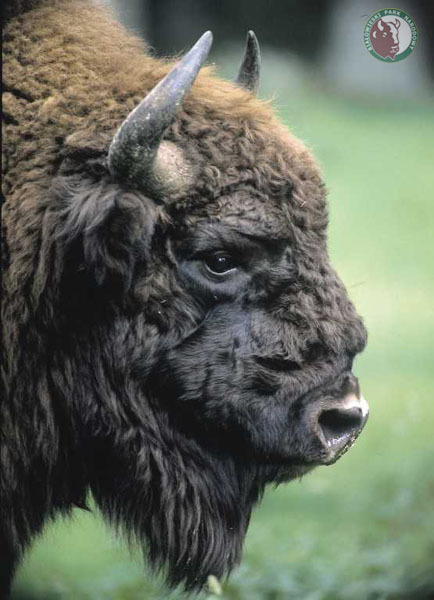 Even though the currently bred bison have only a minor share of the original Caucasian bison genome and they do not look in any way different than the lowland bison, they are bred and kept separately. 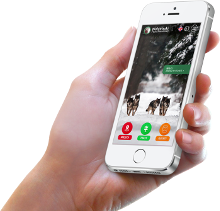 Currently in Poland, lowland – Caucasian bison are living exclusively in Bieszczady. a decree indicating that anyone responsible for the death of a bison without a royal authorization would be put to death. Despite that fact, the total number of bison was in the decrease and their living habitats were shrinking. 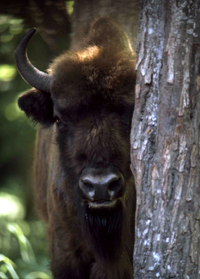 The main reason is the shrinking of the total area of the mixed and deciduous forests – the natural refuge of the bison.